In these 60-minute prerecorded mp3 readings, I cover the true Black Moon Lilith and the asteroid Lilith (1181) in your chart. The asteroid Lilith is about activism and advocacy on behalf of marginalized or underserved populations. 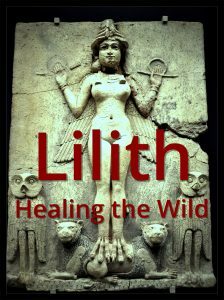 It’s about an awareness of Lilith themes that’s broader, more culturally and socially based, than the visceral, raw, primal instinct of the true Black Moon. The $25 off deal ends at the end of November 30, 2016. Order yours for $120 by then and I’ll have your mp3 reading to you within about a week. After that, you can request a prerecorded mp3 reading at the normal rate of $145, or a live consultation at $175.